New York City native Dr. Paul Frank has been transforming his patients’ lives for over a decade. His attention to detail and personable character make his patients feel remarkably comfortable in his presence. Dr. Frank, one of the most trusted, highly trained surgeons in the field, is pleased to offer his past and prospective patients a few insights into the background of his unique approach to plastic surgery. Q: What sets you apart from other surgeons? Dr. Frank: Unlike many surgeons in this day and age who are largely invested in personal gain, I care solely for my patients’ well-being. I want my patients to walk into my office at their initial consultation visit looking to change a feature about themself and walk out feeling 100% certain that I am the doctor who will lead them to their vision of their ideal image. I never recommend going forward with a surgery that I don’t believe to be completely justified and always keep my patients’ safety at the forefront of the conversation. Q: Being in the cosmetic surgery field, what is your personal philosophy on fitness and aesthetics? Dr. Frank: I think everyone can agree that fitness has unparalleled health benefits that have been scientifically proven to elongate a person’s life and increase feelings of happiness and bodily satisfaction. However, I understand that despite a consistent fitness regimen, it is not always possible to attain that perfect body. Some people are simply genetically pre-disposed to having a heavier build or having a particular area of the body that appears fattier than others. No matter how many crunches or squats you do, you may never eliminate fat deposits or erase stubborn cellulite. That’s where cosmetic surgery comes in. Dr. Frank: I am board certified by the American Board of Dermatology. I can’t stress enough the importance of choosing a doctor that is board certified. I completed my medical school and residency programs in the state of New York, and have since practiced in Manhattan. Dr. Frank: I am an expert in an extensive range of both surgical and non-surgical procedures. My office is fully equipped to perform anything from Botox to liposuction, skin tightening, laser hair removal, hair rejuvenation, and facelifts, each with specific pros and cons that I will discuss with you on a personalized level at your initial consultation visit. Q: Liposuction has come a long way since its inception. What has changed? Dr. Frank: In the past, liposuction was reserved as a stimulant for losing weight and was primarily performed on patients who were considered substantially overweight. Though this function of liposuction continues to hold, liposuction now has a variety of functions that can benefit patients who are not necessarily overweight. Liposuction can now target specific aspects of a patient’s body that the patient is unhappy about and can zone in on these areas of interest with unmatched accuracy. Liposuction is now performed on nearly every part of the body, including the stomach, arms, thighs, calves, knees, and even the face. Q: In general, when would you recommend tumescent liposuction? Dr. Frank: Tumescent liposuction is superior over other methods such as fat freezing and vaser liposuction when it comes to accuracy and results. Tumescent liposuction requires direct contact with the area of treatment and simultaneously acts as a buffer to restrict surrounding blood vessels from over-reacting. In turn, the patient exhibits minimal swelling during the post-op period and has a relatively quick and easy recovery process. It is the best option to consider when liposuction is to be performed on various areas of the body. And, because it is performed while the patient is under anesthesia, it is relatively painless and comfortable. Q: I have undergone liposuction and now have an abundance of loose, sagging skin. What can I do? Dr. Frank: Luckily, there are a few simple solutions to tightening loose skin that has resulted from either liposuction or as a side effect of substantial weight loss. Specifically, with Ultherapy, I can rejuvenate and tighten sagging skin in nearly any area of the body. The treatment is extremely effective but completely non-invasive; it revives skin from the inside and makes you look as young as ever from the outside. Q: Will you be involved in my recovery process? Dr. Frank: Yes. I understand that you are trusting me when you choose me as your surgeon, and I will live up to that trust. I treat each patient with compassion and care, and want to make sure that you are completely comfortable in each stage of your treatment, including your recovery. I pride myself in the relationships I sustain with my patients. Besides scheduling regular in-office follow up visits, I will make sure that everything is going as planned as you recover, be it the same day or weeks after. Q: What if I can’t make it to your Manhattan office? Dr. Frank: No problem. We have an alternate location in Bridgehampton, NY that is also available to our patients. Scheduling here is just as easy and requires only that you make a specific appointment for the Bridgehampton office. However, we ask that you schedule your consultation appointment at our Manhattan office, as it is our main location. Q: How are you involved in the plastic surgery community? 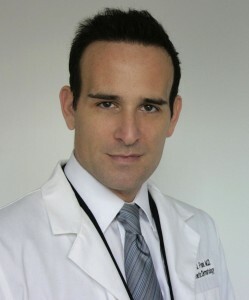 Dr. Frank: I make sure to stay up-to-date with all things new regarding plastic surgery. I lecture frequently across a variety of mediums, and have even made a few TV appearances. Perhaps my most exciting involvement comes from being a consultant to a number of top-ranking research companies, making me an active participant of the improving field of plastic surgery. Besides that, I have various publications attributed to my name and continue to further my education.